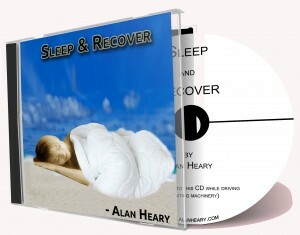 Sleep and Recover | Alan Heary BSc. Why is Deep, Restful Sleep So Important For Recovery? While you sleep, your brain triggers the release of hormones that encourage tissue growth. This can help you recover from injuries, like cuts or sore muscles from your last workout as well as illness. During quality sleep, you make more white blood cells that attack viruses and bacteria helping your body defend itself. Your body tweaks your stress hormones during sleep, believed to curb inflammation throughout the body. This may be linked to reduced heart disease, and diabetes. While the exact relationship between sleep and exercise is still unclear, multiple studies suggest sleep deprivation can have a significant negative effects on performance and recovery. Sleep is also prime time for the body to undergo protein synthesis, so getting extra sleep after a tough workout might make for stronger muscles and better endurance. Avoid sleeping in—even on weekends or nights you’ve stayed up late. Fight after-dinner drowsiness. Get up and do something! Studies show that regular exercisers sleep better and feel less sleepy during the day. Regular exercise also improves the symptoms of insomnia and sleep apnea and increases the amount of time you spend in the deep, restorative stages of sleep. The more vigorously you exercise, the more powerful the sleep benefits. But even light exercise—such as walking for just 10 minutes a day—improves sleep quality. Try a new pillow. Maybe you need a different size? depth? filling? Avoid bright screens within 2 hours of your bedtime – Even Facebook can wait til tomorrow! Say no to late-night television. Doesn’t it seem like all the good stuff is on late? Aside from the fact that you can loose track of time when engrossed in a program, or stay up “just til the end of this program;” depending on what your watching, you can stimulate your mind instead of calming it down. Record anything you don’t want to miss to watch earlier tomorrow. Work through your thoughts about the day before getting into bed. Some people find it helpful to keep a diary. Postpone worrying and brainstorming. If your thoughts are keeping you awake, try writing them down so that you can tackle them at a more appropriate time tomorrow. This short audio will allow you to easily drift into a deep restorative sleep with the use of proven relaxation and visualisation techniques.